How will this tool help develop my students' academic skills? Why do I need this? 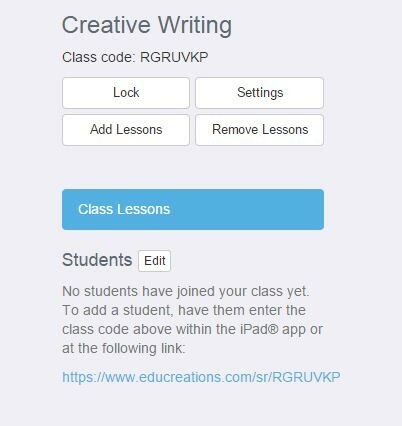 What will Educreations do for me? Do you need to get some information to your students in an interactive way that will grab attention? Using Educreations, the instructor can send a whiteboard slideshow/ video with pictures, typed text, hand-written text, and drawings outlining a skill or given informational set. Do you want your students to create a presentation that displays a thorough understanding of the content, requires synthesis and the use of information in new ways? You can require a student response in kind using the application. Use your iPad or laptop as a Smartboard! Insert pictures or text. Draw diagrams, or make notes. Ask thought-provoking questions. 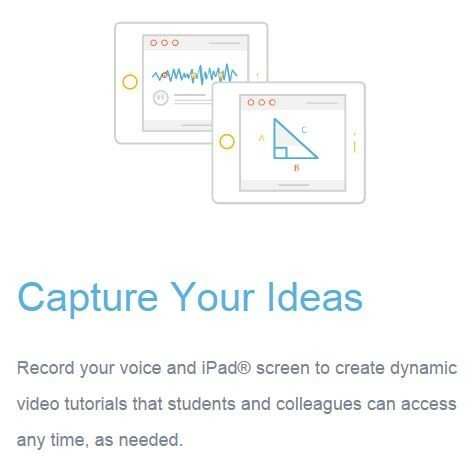 Record your voice and capture your screen! Give your students access to your lessons when they have time to view them. Bring in material that you already have. You don't have to toss the material you have been using. You can take your materials from the online storage of your choice. Readily send out or gather videos. You can send a lesson lesson several different ways, eliminating problems with access from denied sites or apps. 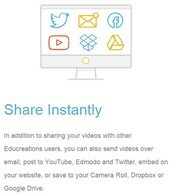 Gathering student videos just became a snap! You don't have to worry about where you saved your work. 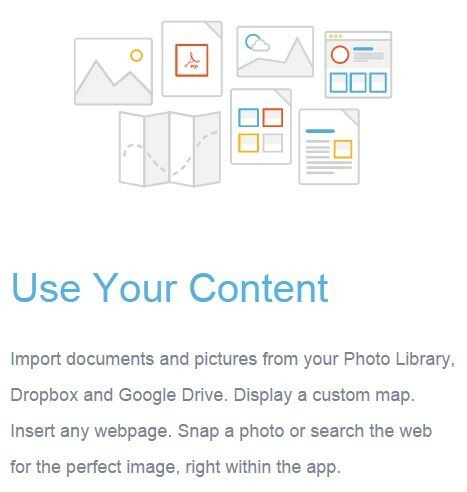 Your presentation videos are all there for editing or reuse. During a novel study, ask students to screen-grab a section of text containing an example of prejudice. Then, require them to use the drawing tools to point out specifics and the audio to describe the impact of the prejudice and make a prediction about an end result. Using the drawing tool, model a plot pyramid of some other already experienced text, and record yourself assigning the same task to the students with the novel assigned. Students must create a lesson for another class modelling the construction of the pyramid with their text. 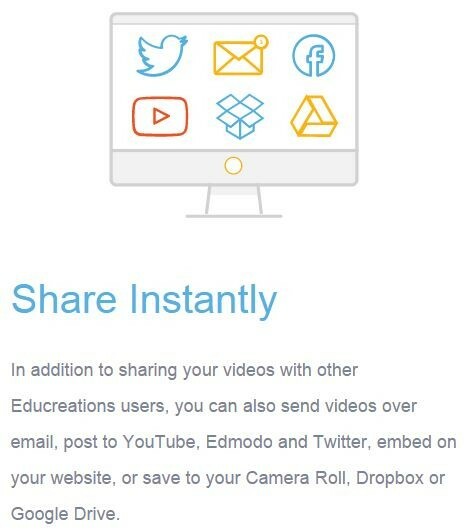 Do you need to send out video lessons to several different groups of students? The class creation procedure is simple, offering a class code or a link for student entry into the class. 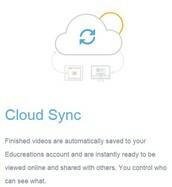 How can Educreations help build an online community? 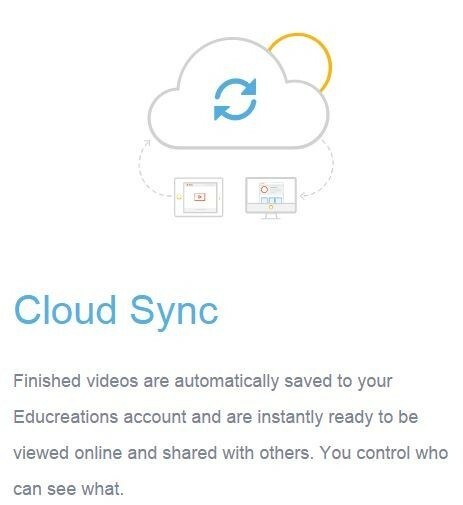 You might start by having students create videos to teach a concept to another student, or create groups required to teach the class. Students can participate in their own learning by creating content and interacting with each other. Any group sharing a password could work collaboratively on a video for submission. 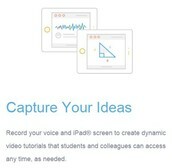 Challenges you may encounter while using Educreations. the app is for iPad only, but the online whiteboard can be accessed from any browser. the free usage of the site limits storage to 50mb. audio cannot currently be edited, only erased and recorded again. 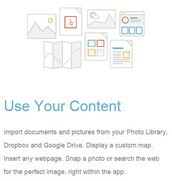 the paid version is required to use all of the cloud storage import options. free accounts limit editing to one draft at a time.